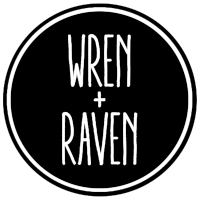 Wren + Raven Publishing invites you to subscribe to our newsletter! All the news and updates on Katya Kolmakov's writing in one neat package! Welcome to the Wren + Raven universe, where the cast never changes even when everything else does. In this series of standalone romance novels, each book is its own self-contained story set in its own world, yet two things remain constant: Wren and Raven. Whichever novel you read first, you will find two very particular main characters who ultimately find each other no matter the odds. When you read another Wren & Raven novel you’ll find the same two souls in a different setting, possibly in different bodies, certainly with different identities, but ultimately with the same fate - or is it just chance?